There are two swords purporting to have belonged to Saint Maurice, one in Vienna and the other in Turin. 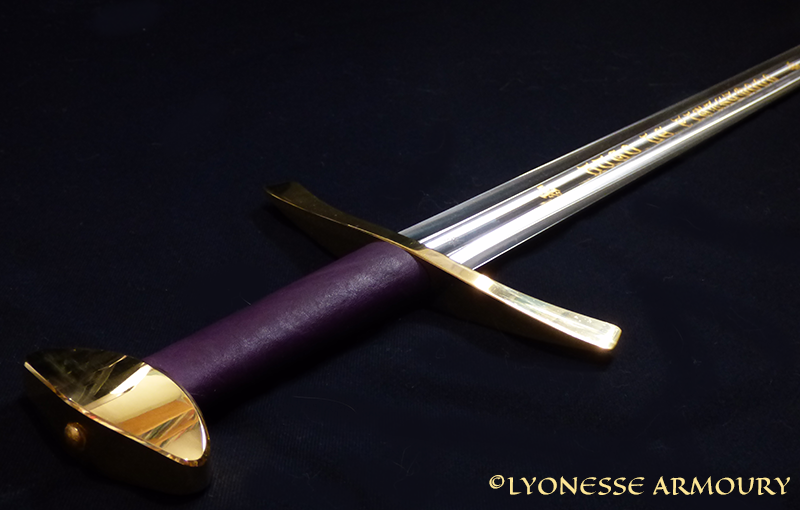 This sword is based on the hilt of the Turin sword with a blade similar to the Vienna sword, but made as a reenactment combat blunt, and customised for the client. 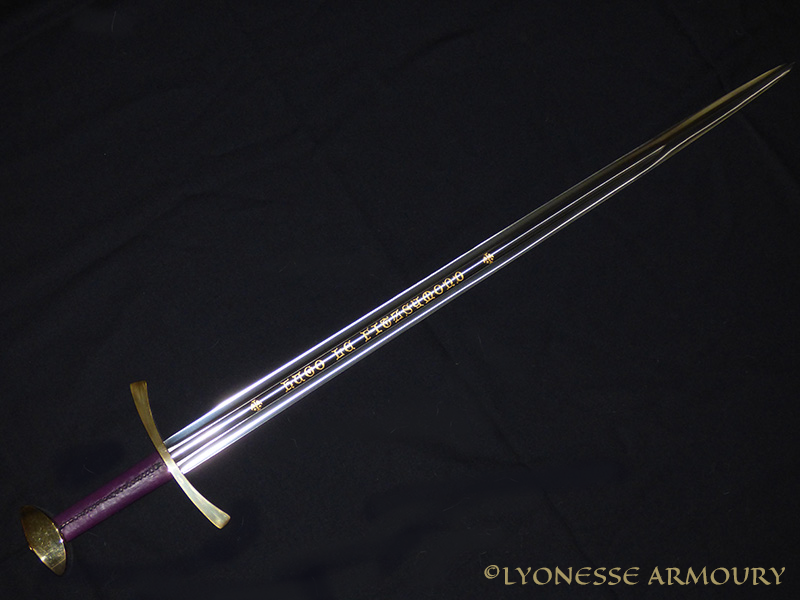 The blade is etched with the client’s name. This is highlighted with 24 karat gold gilding in the etching, while the cross and pommel are made of mild steel plated with 24 karat gold. The wooden grip is covered with purple leather. This is a very long blade for a one handed sword, especially with a blunt edge that is at least 1.6mm thick. The weight and balance have been helped by using a reasonably slim blade profile, and hollow grinding the edges to remove any excess weight.